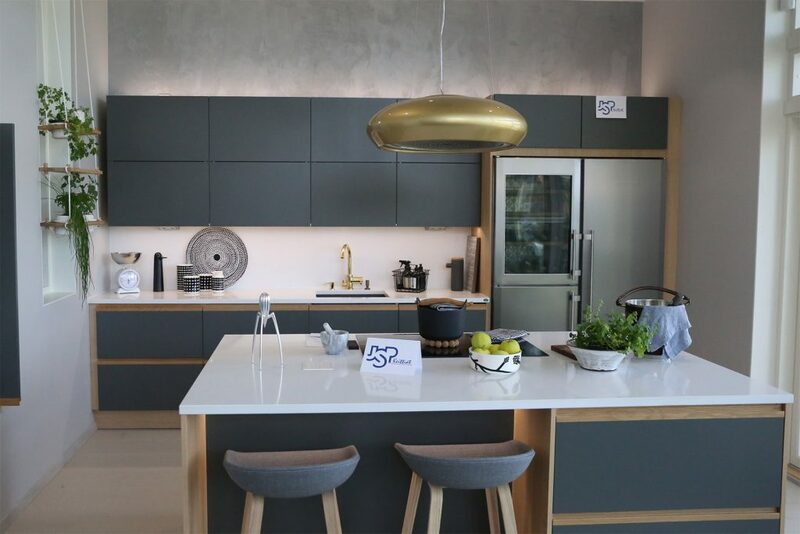 Are kitchen design trends local or global? 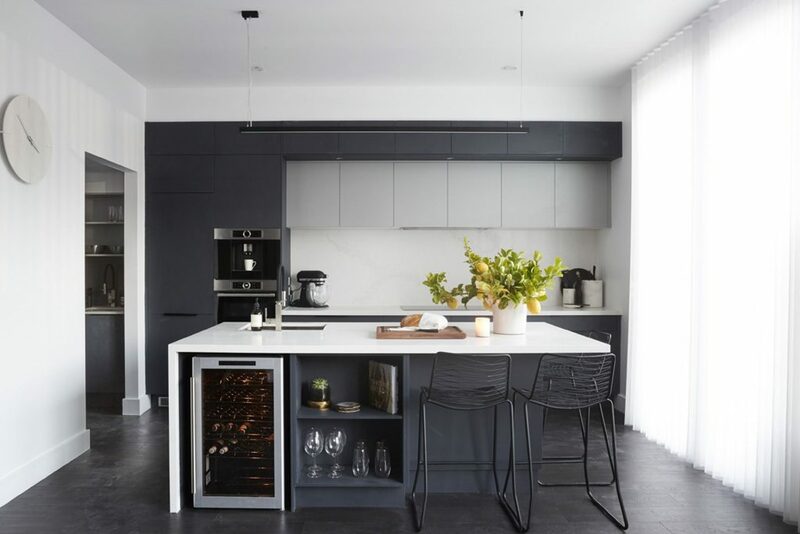 Fashion trends are global, but is there a difference in kitchen and home decoration trends between Australia and – say – Scandinavia? You know, white and timber; minimalistic, raw or rustic, and a reindeer hide snuggly thrown across the chair to create texture and warmth. Surprisingly, I learned that Finnish kitchens are not just white and timber with Grandma’s handwoven stripy rugs anymore! Look, this could have been in Australia. It even has Australian native plants! Finland is not really part of Scandinavia. It is one of the Nordic countries and forms part of Fenno-Scandia. In the design world though it is often considered to be part of Scandinavia. In fact, many of the famous mid-century designers and architects were Finns. Style-wise Finland does a little bit of HYGGE like the Danes, but is more utilitarian. And in truth: the only reason really that I compare Australia to Finland is that they are the two countries I know best. 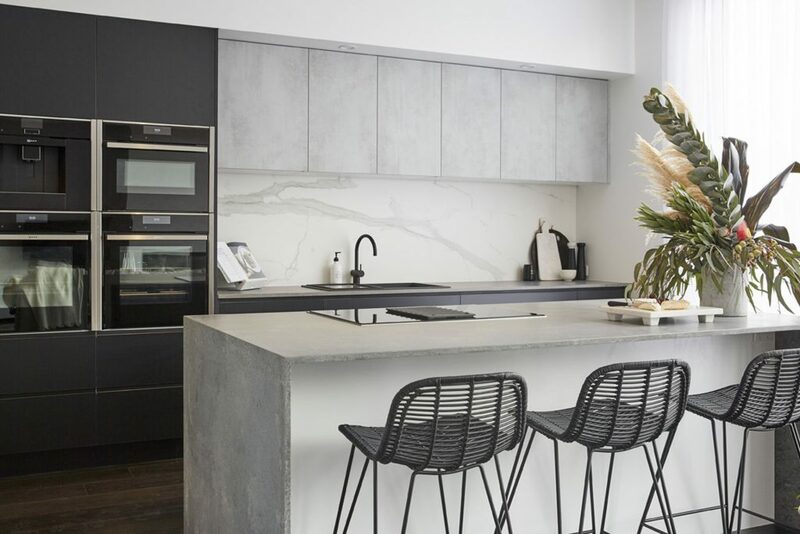 The Channel 9’s renovation show The Block had the kitchen reveal yesterday. Each of these five contestants would have chosen the latest gimmicks and trends to their kitchens in order to win the weekly prize. That’s my (statistically inaccurate and biased) source for the current Australian kitchen trends. 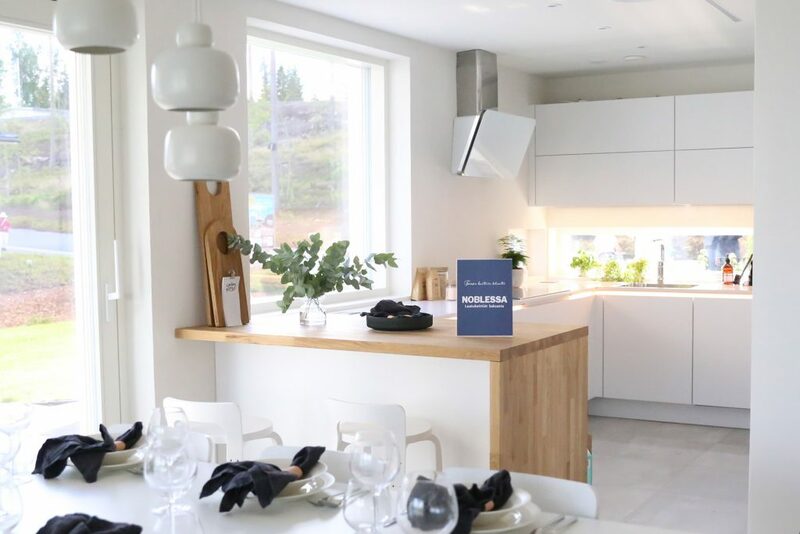 And on the other side of the world, little Finland builds every year a whole new suburb in a selected town, where each house showcases kit houses, architects, designers and the latest trends. This year’s housing fair is my source for the current Finnish trends. So what’s the same and what’s different between the Finnish and Australian kitchens? 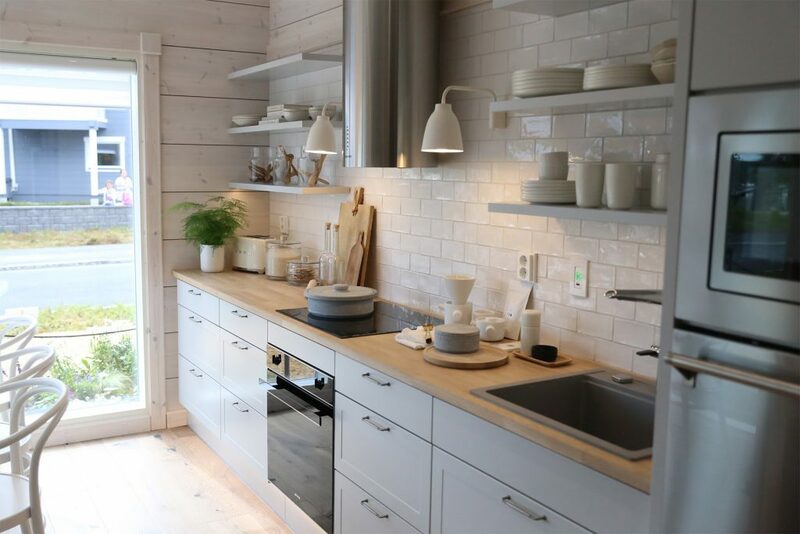 Finnish kitchens would have traditionally been white on white, with some timber details and shaker or moulded doors – in a log house. There were still some of them. 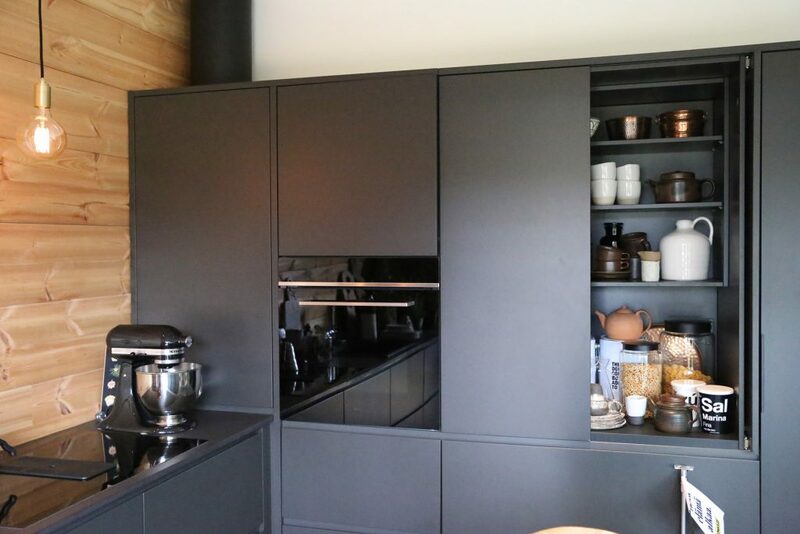 However, the surprising majority of the kitchens were black! I would not have expected that in Finland! There was the black on black (ok, still a log house though). And the black on white. There’s the grey on light grey. The matted grey (on grey). And the light grey on white. 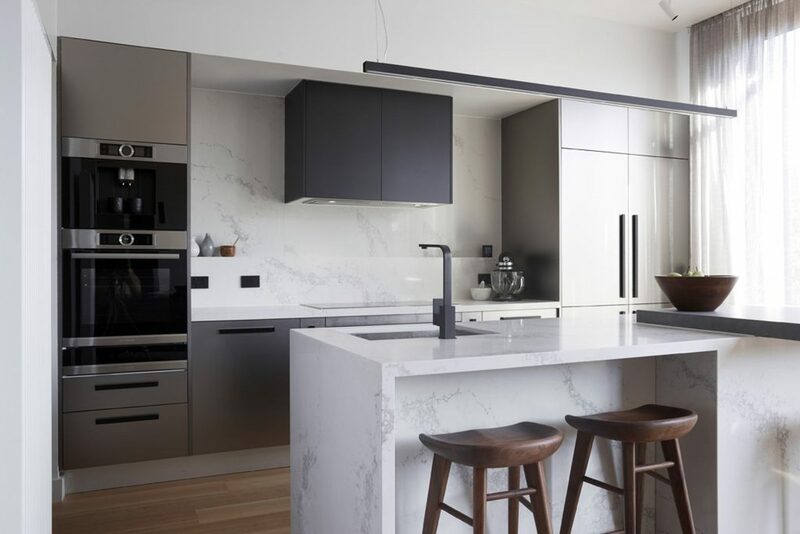 Another point to observe about these Australian kitchens – which was possibly caused by Caesarstone being the show’s sponsor – is that all kitchens had Caesarstone benchtops. There was more variety in the Finnish kitchens. 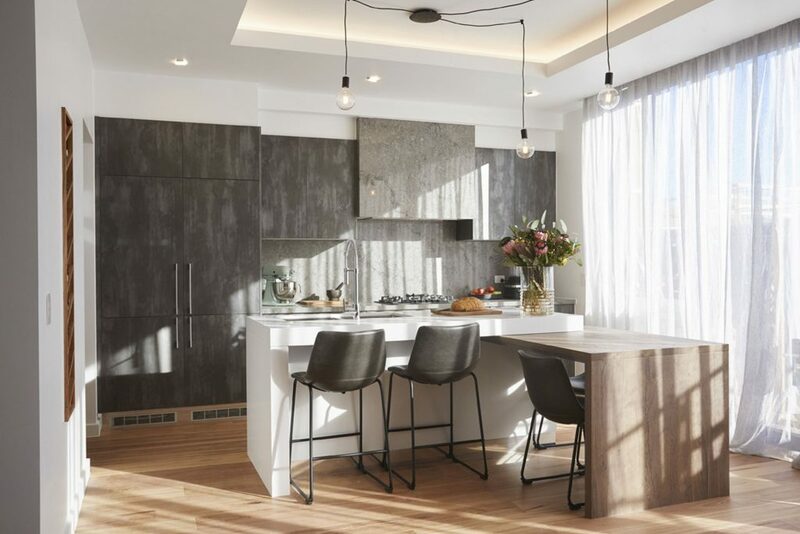 How people choose to use their cabinetry is impacted by cultural differences and personal taste. 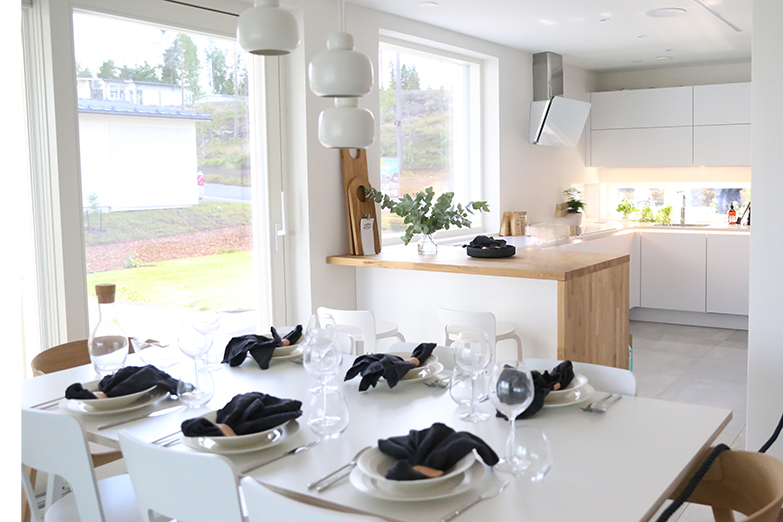 In Finland it seems to be fashionable to hide away your kitchen or at least some of the appliances to an appliance nook. 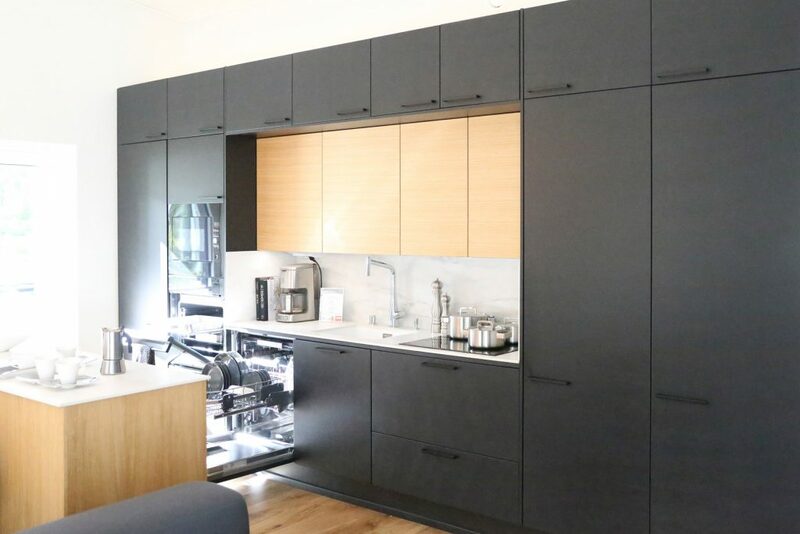 In Australia, the land of plenty, each of these kitchens had a walk-in butler’s pantry with a second set of everything and plenty of hiding place inside it. Not perhaps how majority of Aussies live, but – well – I said my source was biased. In Finland each kitchen would have waste and recycling unit underneath the kitchen sink, next to the dishwasher. That is the most functional location for it too: no need for extra steps when you scrape the plates, rinse them and put them to the dishwasher. In the Block kitchens the waste sorting seemed to be also on the other side of the dishwasher. It’s the height of the splashback. 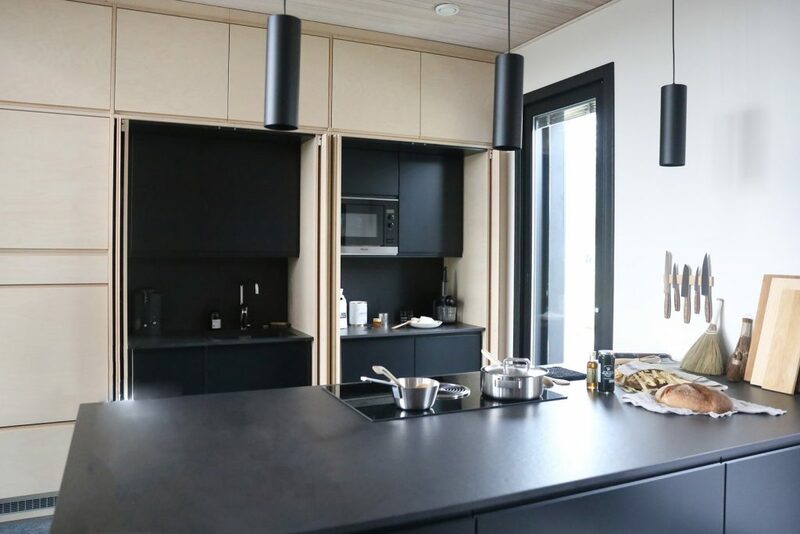 In Finland typical wall cabinets are 500mm above the benchtop. 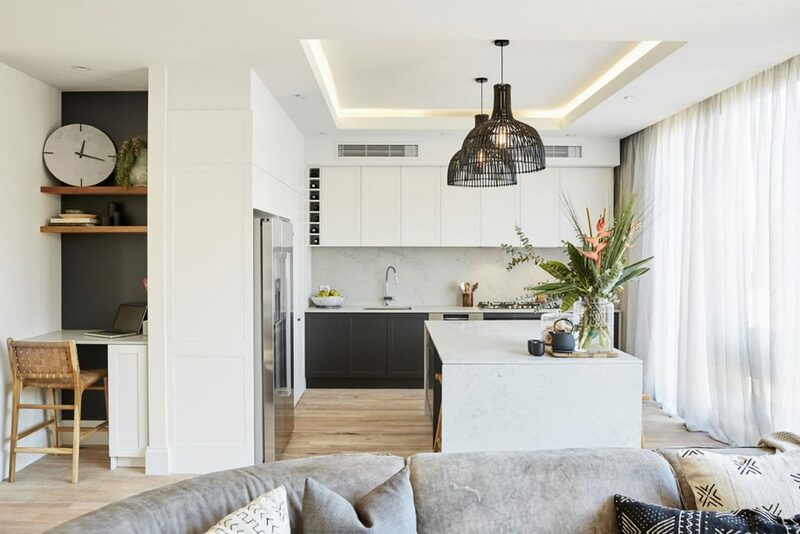 In Australia gas cooktops are more common and according to the Building Code of Australia, the rangehood must be 650mm above the gas burners and 600mm above electric stoves. 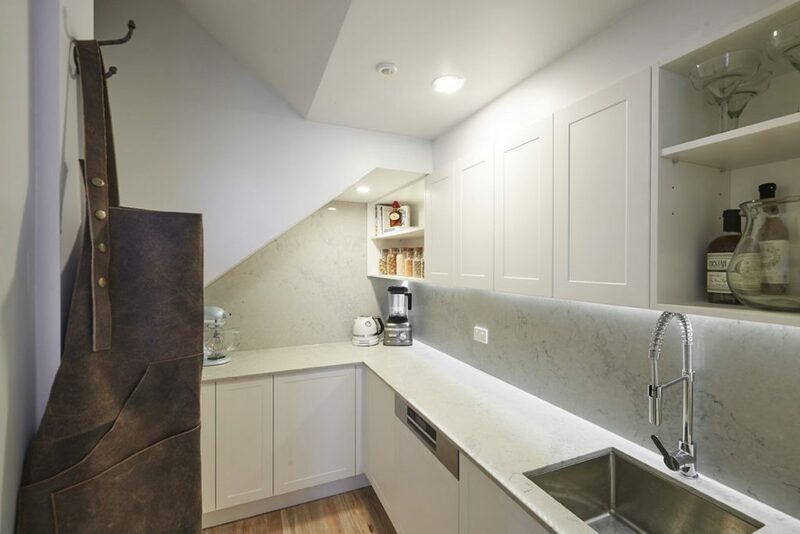 As a result, either the rangehood needs to be installed out of line from the other cabinets, or all cabinets are lined up too high for shorter people to be able to reach to their cabinets. 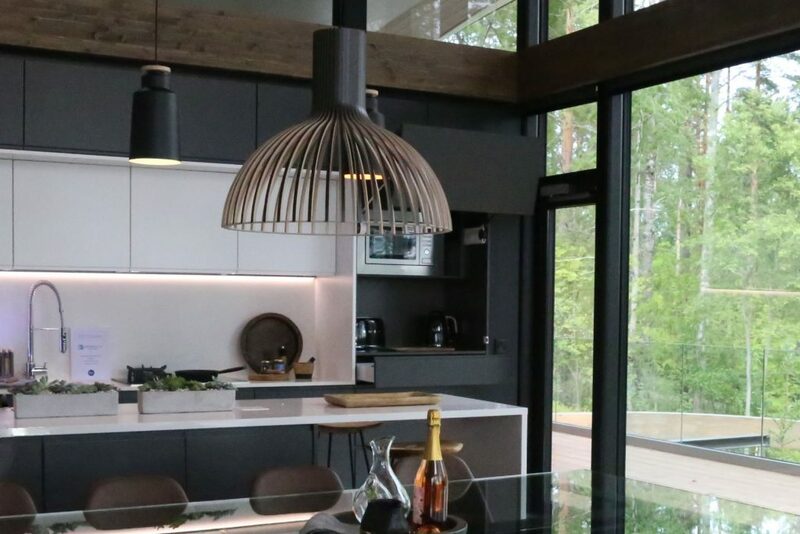 What do Australian and Finnish kitchens have in common? 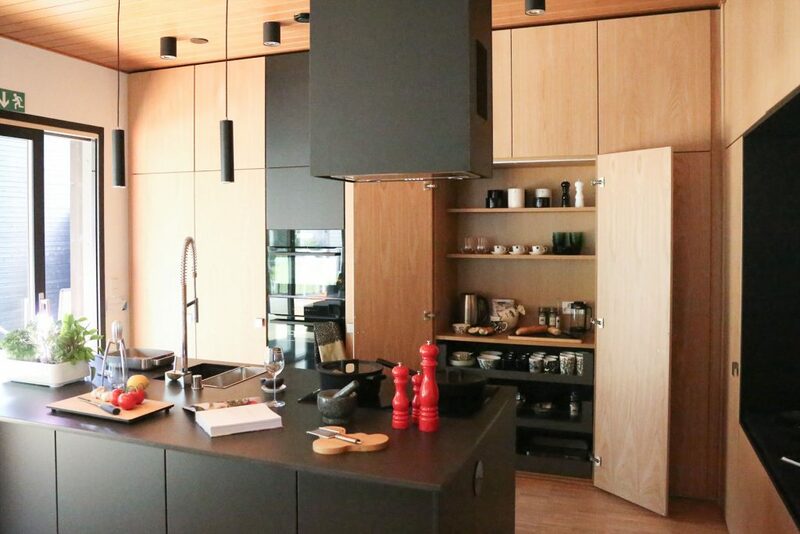 All of these pictured kitchens, except two, had integrated fridge doors and all had (semi-) integrated dishwashers. Unified front pulls the look together, especially if cabinets are flat and streamlined. With rustic or industrial look a separate fridge suits the style just fine. And sometimes you don’t have a choice. 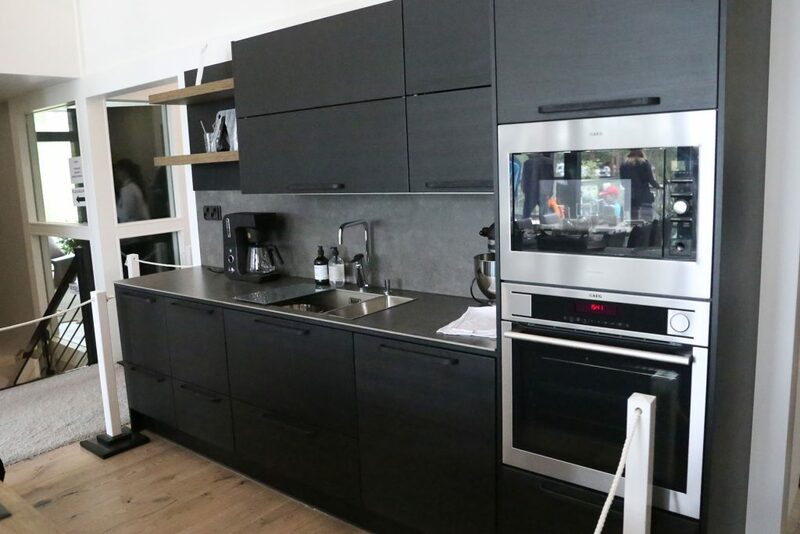 Majority of these kitchen designers also seem to agree that oven should be on the wall. It’s ergonomically far better solution than the traditional setup. And last but not least: drawers. Another win for ergonomy and for the three big drawer runner companies. Contact me if you’d like help with your kitchen design!